Yesterday we laid to rest a man who we loved very much. My father-in-law served his country in WWII, was a good father to his family and set an example for everyone who knew him. The world is a little dimmer now, since his flame has been extinguished. Today we pause to remember him as we work through our grief. Farming here at Riceland Meadows is stalled due to the recent rainy weather. There is much to do to get our ground ready for planting the speltz crop. The soil must be turned and disced smooth as part of the seedbed preparation. Water is standing in all of our fields and the weatherman says, there will be at least six more days of scattered showers. .. we may have to wait until spring and plant oats for the horses instead. I guess we’ll adapt as needed. There is plenty of firewood left to cut and split. We need to finish up the sugarwood for the sugarhouse. That stack will be a very large one. It is not a bad job now that cooler weather has come upon us. The scattered rain, however, has been mostly scattered right on top of us….causing a delay in this job too. I guess the pause is good for us as we rest mind and body. We can reflect on memories and good things, while resting up for the work that awaits us. 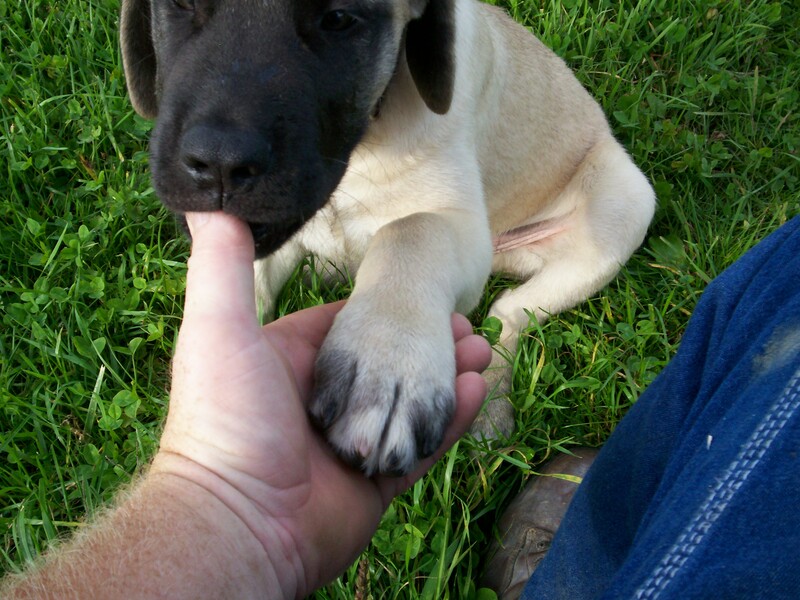 I can use some of the time to keep teaching King how to shake hands..before his hands out grow mine! Goats are a intregal part of our pasture management plan. They eat weeds and brush that no other animal will. They not only eat it, they relish it! It is a wonderful thing seeing the goats eat the seed heads off of ragweed, quack grass and thistle. They devour poison ivy, burdock and young multi-flora rose. They get into places that the brush hog can’t. They are wonderful critters well suited for this purpose. Currently, the goats are in a field that is mostly second-growth trees and brush. I am working to clear this 4 acres of all the cull trees. I will leave plenty of straight trees and create a sort of wooded pasture. The goats eat the new growth on the stumps and any new brush that is trying to make a start. Goats are great browsers, but not very efficient grazers. I have a young steer in the pasture with them. He eats the grasses and clovers that the goats only pick at. By the time the goats have clipped all the weeds and brush, the steer will have eaten the good stuff down and they will all be moved to a different paddock. Multi-specie grazing has built our pastures to text-book grazing areas. The animals eat it down to about 3 inches, then we move them. The young stock goes in first, followed by the larger sheep, then cattle. The horses eat last. Then the whole paddock is mowed and left to rest and re-grow. It is working very well for us. Our pigs get to be the last ones on the pastures before they are plowed down for corn. They are hard on pastures due to their rooting. I used to think the rooting was a bad thing, but then discovered that on almost every occasion, the pigs are rooting out the quack grass-roots. They love the tender white rootlets. Once the pigs are done, the quack grass is all but eradicated… and without any chemical spray of any kind! I put the goats on a tether often, to mow the outside of a fence line. They will eat the weeds. After a short time, I follow along with our ram. He gets to eat the very best grasses that the goats have snubbed their noses at. He is doing very well on the lush grass. 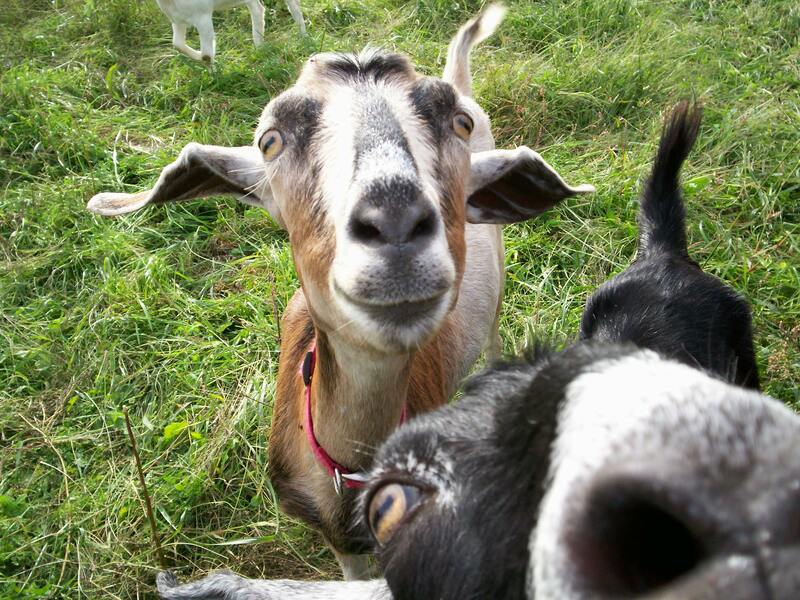 Goats make great pets and are wonderful animals for weed control. The biggest factor for goats is that you must have good fences. When I say good, I mean fences that will almost hold water 😮 They are escape artists. 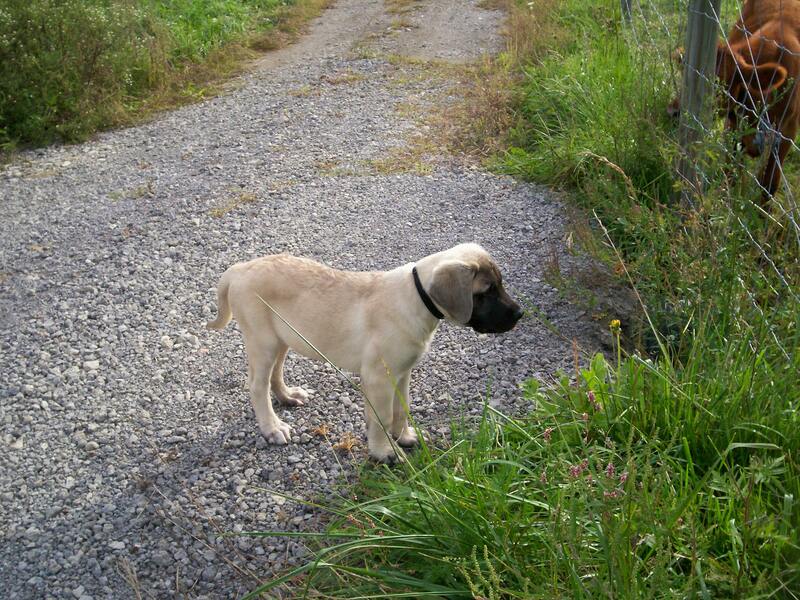 Once they are loose, they like to come up on your porch, jump up on the cars…especially visiting family members cars. The love to eat flowers and landscape and leave a trail of poop balls everywhere they go … not bad in the pasture, but not good on sidewalks! Goats as weedeaters work very well. They are easy to start, require no gasoline and make their own replacements. They are loveable creatures who really love their humans, especially children. 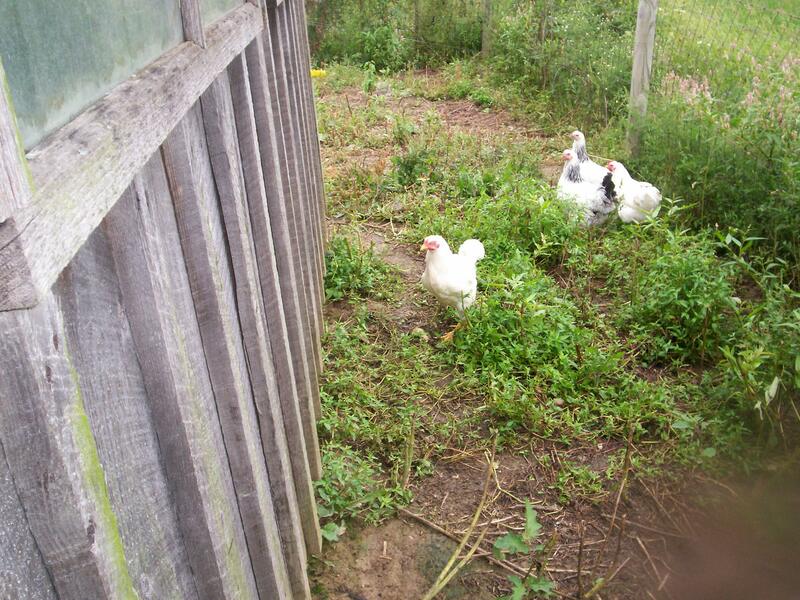 I will have them as part of my farm plan for as long as I farm … especially now, since our fences are good! King keeps getting new experiences every day. Today he met the goats. We do our meetings in such a way that King is safe and the other animals are safe. He seems to take it all in stride. He is a very good puppy. We picked squash today. I snipped them from the vine before the frost could ruin them. We didn’t get frost last night, but it did dip to 44F. The squash and pumpkins have all been washed and dried. They are the winter varieties and should keep much of the winter. King helped with that job too. I guess I should be happy that I only lost one squash to the playful pup. He was trying to help I think, but his teeth went in way too deep. The shaking of the vegetable didn’t help either 😮 He is a tough guy… or so he thinks. I have to commend the dog for his out going nature. He does not shy away from anything. He is curious and willing to try anything new. I am not so much that way. I do pretty good with the familiar, but not so well with the new stuff. I guess I wasn’t exposed enough as a kid .. BUT I am OK with that! Machinery Shed to Horse Barn and back again! One thing you can count on me having is a project list. I don’t like to waste time (naps don’t count), so I keep two lists in my head. One list is for sunny and dry days, the other is for the wet, cold and inclement weather days. The lists revolve around the seasons of course, but not all farm jobs are planting, harvesting or animal husbandry jobs. 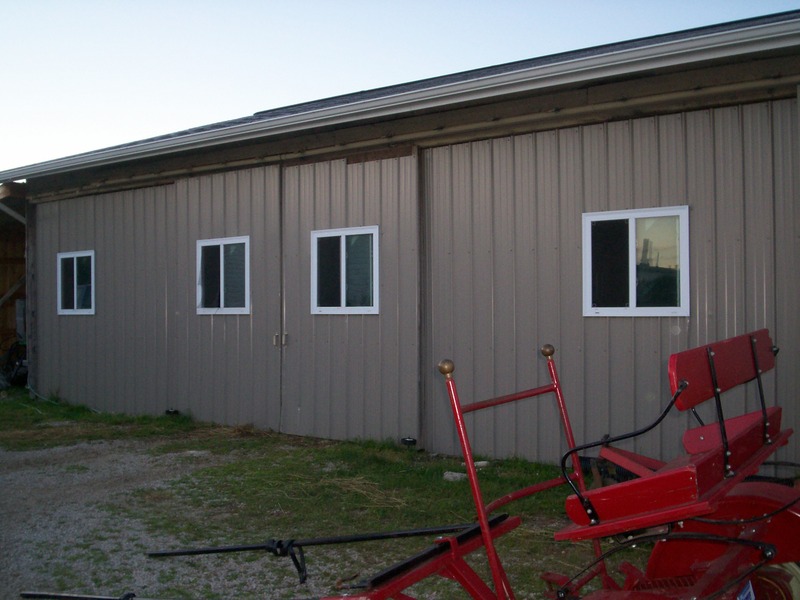 Eight draft horses could never fit in the smaller barn, so I retro-fitted our machinery shed. I built four double stalls to stable the horses. The barn has worked well, but did require me to build another machinery shed. I am now down to just the three horses that I need to supply power. Some will say that I still have one more than I need, but I am thinking three is the right number. I need to build new mangers in the horse barn. The old one got torn out on a winter day when a calf jumped into it and got stuck! I have the lumber. I just need the time and perhaps a hand from one of the boys. Hint-hint! The old machinery shed will be filled with my draft horse equipment. It will almost look like a museum, with all the steel wheeled antique equipment lined up and out of the weather. I have it all stored now, but it is hard to get at, hard to work on and sitting up on boards. The concrete will provide a much better place for those old wheels to rest. I am a bit excited about the move. I will be able to get every piece of our farm equipment under roof for the first time ever. I do leave the ones I am using sit out, but once they are finished for the season, they are washed, lubricated and put away. I even try to fix anything that I know is broken before storing it until next year. Rainy day projects and my duel lists, helps me make use of my time especially when I have to work around my off farm job. I can feel like I am accomplishing something each and every day … well ok, there are those naps that creep in… But hey, without the lists I might stagnate and get nothing done! Recently we have been stuck in a rainy pattern. Our spring was one of the wettest on record, followed by a very dry July. August saw the rains come and pushed our crops to excellence. I don’t want to complain, so will only say that the fields are pretty wet again and mud is stopping me from plowing ground for speltz. No problem though, as always, I have a contingency plan! Our pastures are green and growing albeit wet. The animals are in good condition and the corn harvest is a little ways off yet. I will just wait and see how it all works out … I like to pick corn by hand anyway. I might get the chance to do it this year, if muddy conditions keep my corn picker in the shed. Oh well, what the heck … corn harvest will just become a … Rainy Day Project. It is with heavy heart that I write todays BLOG. My father-in-law passed away this morning. He had a couple small medical issues, that spiraled out of control and took his life suddenly. The world is a little dimmer today without his shining light in it. His 89th birthday was 9-12-11. He was a man of integrity. He and mom were married 69 years. They toughed it out through thick and thin. They raised a family of three daughters. That legacy spanned five generations. He was the patriarch, a born leader of men who lived by example. He remained in control of his faculties until the very end. As death stalked him, he talked with almost every one of his family members, in person, via phone and through the caring hearts of their mothers. Love filled that hospital room, just as it had filled everything he did. He was a World War II veteran who had fought and froze in the Battle of the Bulge. 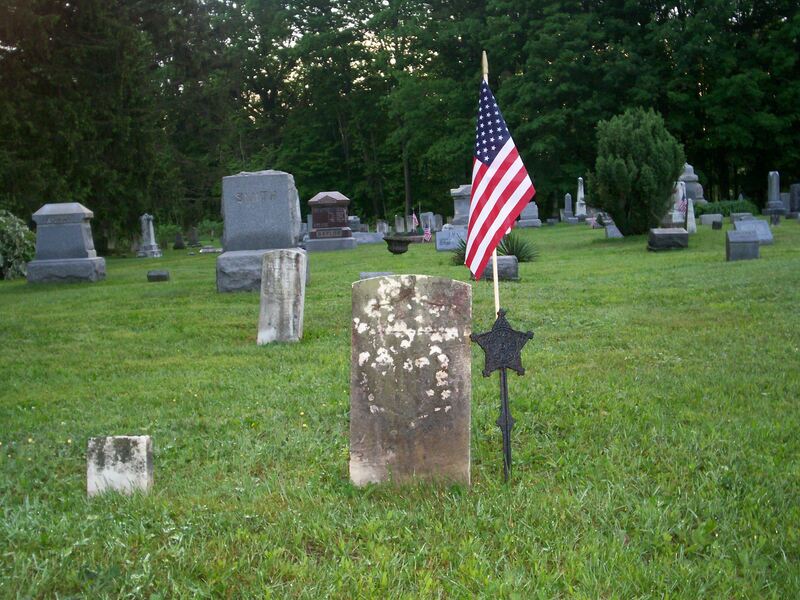 The war with the effects of frostbite would be fought the rest of his life and was a contributing factor to his death. He did not complain … ever. He was a man’s man who gave his word and kept it. He was a good judge of character, a good father and a true sportsman. He told me yesterday that he had liked me from our very first handshake. I married his oldest daughter. This morning I shook his lifeless hand and promised to take care of his girls. I stand in the shadow of this man that we all called daddy. I stood in the corner of the room last night and watched him eat his last dish of ice cream. He needed a little help, but enjoyed his favorite treat one last time, washed down with a few sips of black coffee. The shine in his eyes and look of pleasure on his face will remain a favorite memory of mine. 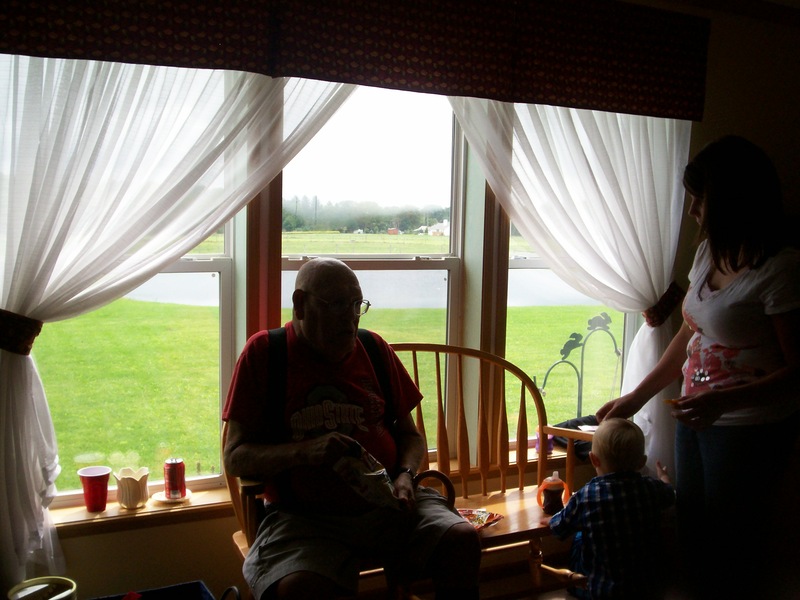 He talked with his grandchildren and great-grandchildren while a great great grandchild cooed in the background. He told the kids to always do their best, choose good friends and to never give up! They hugged him and poured their love out for their Pa-Pa. I can only hope that when my day comes, God will grant me the time to touch my loved ones hearts one last time too. We have all cried a tear or two as we grieve for a man who meant so much to us. We know that he is in a better place walking arm and arm with his bride once again. He, I am sure, is shaking hands with loved ones, friends and holding a baby boy he never got to know. We will celebrate his life and share his legacy with folks we meet to honor him and keep his memory alive. I will think of him, and my own father, as I savor the taste of good vanilla ice cream and the refreshing taste of hot black coffee to wash it down. I will continue to value a firm handshake and a man who keeps his word. These pullets are in training. Sounds kind of funny I guess, but it’s the truth. They must learn where their home is, where to roost and where to get feed and water. Once they get that all worked out, they can begin to free range. This cooped up part of their life is for their own safety and for my convenience. Without this short training period, they lay eggs anywhere they want, roost on equipment and other places where I don’t want. They can become real pests. They also need to get into the coop at night to be safe from marauding critters! They have already figured out to go in at night. They roost together on roost bars provided for that purpose and are starting to investigate the nest boxes. They should start laying very soon. I am glad, as I am on the second dozen of store-bought eggs and just plain don’t like them! I think of the training period much like what we did for our children. They were taught what was acceptable. They had to be in at night for their own safety. They needed just enough space to wander without getting into trouble. Then when they get let out into the world, they know where to come home, in times of trouble or need. I like to know that all my chicks are in the nest … even when that nest is located far from home. It is good to know that there is plenty of food and water there, along with the things that comfort them. I know that I can’t always be there, but I also know that once trained they will be OK by themselves. They will seek out safety. They will make their way in the world based upon the training they have gotten at home. They will be polite, yet wary. They will keep the values learned at home close at hand and hopefully the impact we have made will stay with them always … so far .. I can say that we are very proud of our brood. Fences and a short leash work some of the time, the trick is knowing when to let the leash out some. Independence is much better than rebellion and defiance. You can guide a little with the former… that rebellious stuff is the pits! We had motorcycles and 4-wheelers that went on roads when they thought we didn’t know. We had some beer drank when it was thought they were out of sight. We had curfew violations and a few other things that tested the limits of the leash and the boundaries of the fence, but the fence held and the boundaries were respected. Our last chick just left the nest for good. He is out on his own and like the rest is making his way in the world. He had 6 others to watch and he learned a little from all of them. He took a little from each and is now on the way to set an example of his own. We are proud of our children and the examples they have set for our grandchildren. We take comfort and a little pride in all that they have done and are doing. I spent much of today reliving the tragedy that unfolded ten years ago. The feelings created on that day are fresh and new. I feel much grief for the folks who died. I am even angry for the first responders and innocent people who died just for doing their jobs. My heart is heavy, so this column will be short. I will say that even though America has changed, I do not want to live anywhere else in this world. Today and into tonight we were surrounded by family and friends. I held my grandchildren that weren’t even thought of ten years ago. Once again , as I did ten years ago, I prayed for our family, our country and all the families involved …….. May God Bless America!